Every Sunday from 17th June until 16th September 2018. From the 17th of June to the 16th of September, VILA VITA’s Praia Dourada restaurant will be bringing the festive and chill-out atmosphere of Barcelona’s beach chiringuitos to the Praia dos Pescadores, located directly at the Armação de Pêra beach. 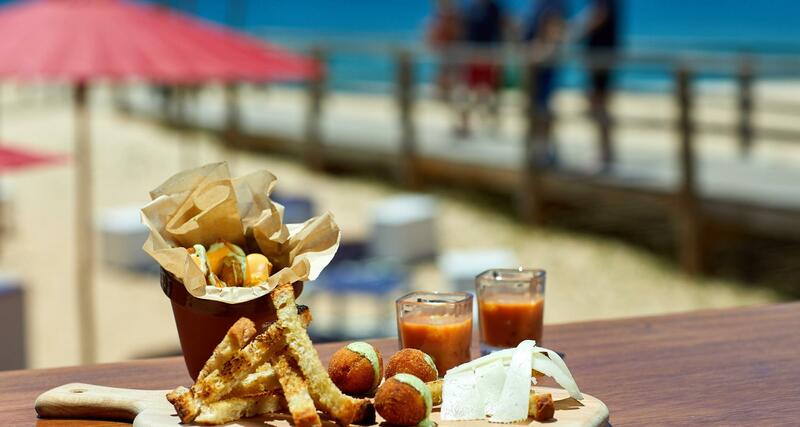 Every Sunday, from 12:00 to 16:00, start your day at Praia Dourada’s modern and relaxed atmosphere, with the Spanish-style “Chiringuito Chic” lunch, where you’ll be able to indulge in the best Spanish flavours. The menu is made of an amazing selection of typical tapas such as Jamón Ibérico, Queso Manchego, Croquetas de Bacalao and the traditional Gazpacho, followed by the main course of squid, shrimp, mussels and chicken Paella, live cooked on the beach, finished off by Cremá Catalana and helado de Azahar as a desser. As a soundtrack for the meal, the sounds of a Live Dj will give that special party and relaxed touch to your Sunday lunch. The lunch is €22,50 per person (drinks excluded), with a 50% discount for children between 4 and 12 years old.